Self-esteem issues, nutritional problems, jawbone deterioration, teeth shifting are just some of the issues caused by missing teeth. Luckily the Andover, MA, office of Dr. Richard Hopgood offers denture treatment to help those suffering from tooth loss. Read on to learn more about the different varieties of denture treatment, and what they can do for you! There are a few different options to replace teeth, most notably dental implants, however, this method is rather expensive and requires a sizeable time commitment. On the other hand, dentures are an easier, more affordable tooth replacement. Dentures from our Andover office come down to two categories: full (necessary if you have no remaining teeth left) and partial (for those missing only a few teeth). Immediate Dentures: These are temporary dentures that help prevent the natural shrinkage of gums during the transition to permanent dentures. Conventional Full Dentures: These are permanent dentures that provide proper functionality. 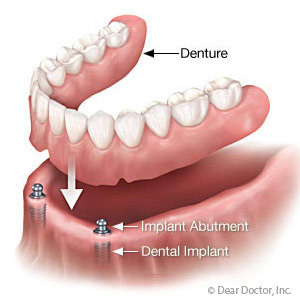 Implant-Supported Overdentures: These implants provide dentures with increased stability. Upper jaws usually need more implants than lower jaws because of their bone density. Transitional Partial Dentures: These temporary, plastic dentures act as space maintainers as you await dental implants. 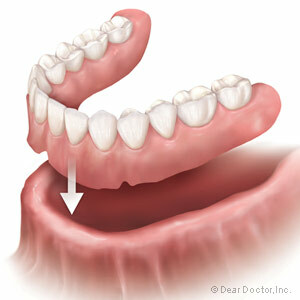 Removable Partial Dentures (RPDs): More inexpensive than implants, these dentures are made of cast Vitallium. When you're not wearing your dentures, you need to place them in water or a denture cleanser solution. This will help the dentures maintain their shape and prevent them from drying out. Do not place your dentures in hot water. Do not use bleach or any household cleaners on your dentures, for this will damage them. For more information about dentures in the Andover, MA, area, call Advanced Dental Concepts at (978) 475-2431 today! Has your dentist mentioned that it may be time to start thinking about dentures? The appliances offer a few benefits you may not have considered. Our Andover, MA, dentist, Dr. Richard Hopgood of Advanced Dental Concepts, regularly helps his patients consider tooth restoration options, including full dentures and implant-supported dentures. What advantages do dentures offer? Losing your teeth can have a profound effect on your life. After tooth loss, you may feel less confident and might even avoid social situations due to concerns about your appearance. Missing teeth can also affect your ability to advance in your career if you're still working in the Andover area. Adding a set of full, immediate or implant-supported dentures to your mouth immediately transforms your appearance. Although the dentures your grandparents wore may have looked bulky or unnatural, today's dentures are designed to look just like natural teeth. In fact, no one will probably be able to tell that you're wearing dentures. Drooping facial muscles may occur when you no longer have teeth to support the muscles. Dentures decrease sagging and help you look more youthful. Better Health: Without teeth to chew, tear, and shred food into small pieces, you may be forced to resort to a liquid or soft diet. Although the diet may keep you feeling full, it won't necessarily contain the nutrients you need to maintain good health. Dentures will allow you to eat many of your favorite foods again and ensure that your diet is nutritionally sound. Better Speech: Speaking clearly is difficult without teeth. No matter how hard you try, it may be impossible to pronounce certain words and sounds if your teeth are missing. If you're tired of repeating yourself or writing down words when others don't understand you, it may be time to consider dentures. Whether you choose full, immediate, partial, or implant-supported dentures, a new set of teeth can help improve the quality of your life. Call Andover, MA, dentist, Dr. Hopgood of Advanced Dental Concepts, at (978) 475-2431 to schedule an appointment to discuss your denture options. If your missing teeth have caused you to feel as though you cannot smile any longer, you are not alone. According to the Centers for Disease Control, about 25% of adults over 60 are missing all their teeth. Luckily, dentures can replace your missing teeth and help you take your smile back. Learn more about dentures with Dr. Richard Hopgood in Andover, MA. If you have lost all or most of your teeth, dentures can help. Patients missing all their teeth require a full denture, which replaces the entire arch of teeth at once. The denture replaces the teeth and restores their biting surfaces, allowing for effective chewing of food and enabling the patient to speak correctly. Patients with one or more remaining healthy teeth may benefit from a partial denture, which fits over the healthy teeth to incorporate them into the new, prosthetic smile. In either case, dentures replace the missing teeth and help patients look and feel great. Caring for your dentures will require several extra steps in your daily oral care routine. First, as with any oral care routine, you should brush and floss any remaining natural teeth remaining in your mouth and your oral tissues using a soft toothbrush. You will need to remove your dentures at night before going to sleep. Soak your dentures in a denture solution overnight. Be sure to brush your dentures using a denture-specific brush at least twice daily and rinse them before reinserting them into your mouth. Many people find that they feel more comfortable handling their dentures over a folded towel to ensure that, if they drop them, they only take minimal damage. If you think you could benefit from dentures, you should consult with your dentist to ensure that this is your best tooth replacement option. You may benefit more from other options like dental bridges or dental implants. For more information on dentures, please contact Dr. Hopgood in Andover, MA. 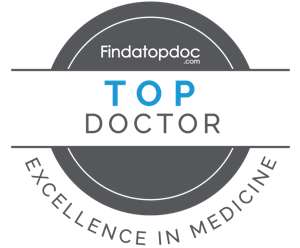 Call (978) 475-2431 to schedule your appointment with Dr. Hopgood today!